For a British cycling fan the month of May means two things. It’s the month of the Giro d’Italia, and the most prestigious one-day race in UK cycling: the Lincoln Grand Prix. The cobbled climb of Michaelgate is the defining feature of the race, tackled 13 times by riders over the 102 mile course. The final ascent comes just 100m from the finish; first up Michaelgate for the 13th time is almost always first over the line. This year’s Lincoln GP, sponsored by the University of Lincoln, will be without defending champion and four-time winner Russell Downing, whose NetApp-Endura team are restricted from riding national level events by the sport’s governing body, the UCI. “It’s a shame that Russell [Downing] is unable to come and defend his title, and win a fifth Lincoln,” race organiser Ian Emmerson OBE told Cycling Weekly. The Lincoln always attracts a strong field and this year is no different, despite the absence of Downing and 2011 winner Scott Thwaites (also NetApp-Endura). Sky’s Peter Kennaugh will line up as one of the top favourites in what is also the second round of the Premier Calendar series, following the Tour of the Reservoir two weeks ago. Riding for the Isle of Man team, the Olympic gold medallist is able to bypass the UCI restriction. Current Premier Calendar leader Evan Oliphant (Raleigh) is a late inclusion to the start list although UK Youth’s Chris Opie, currently second in the overall series standings, misses out due to illness. Fresh from the Tour of Romandy, where he was part of Chris Froome’s race winning Sky team, Kennaugh is a top favourite for the race. With this being his first race on the domestic scene this season, he’ll also be a bit of wildcard in the British peloton. Perennial Premier Calendar performer, Bialoblocki was second at the Lincoln GP last year. His UK Youth team have stamped their authority on the season so far and with Chris Opie missing, Bialoblocki could be the man to step up. The two races Bibby wants to win the most in 2013 are the Rutland-Melton CiCLE Classic and the Lincoln GP. Since the CiCLE Classic has been and gone, with Bibby losing out to former teammate Ian Wilkinson by a whisker, he’ll be more motivated than ever. The man from Northern Ireland has a mean uphill kick at his disposal and has been on form in recent weeks. He currently sits third in the Premier Calendar ranking after the Tour of the Reservoir. Berthou the Breton could be an outside bet on Sunday. He excells when it comes to tough races with rough road thrown in. consistent riders at the Lincoln, placing highly for nearly ten years. 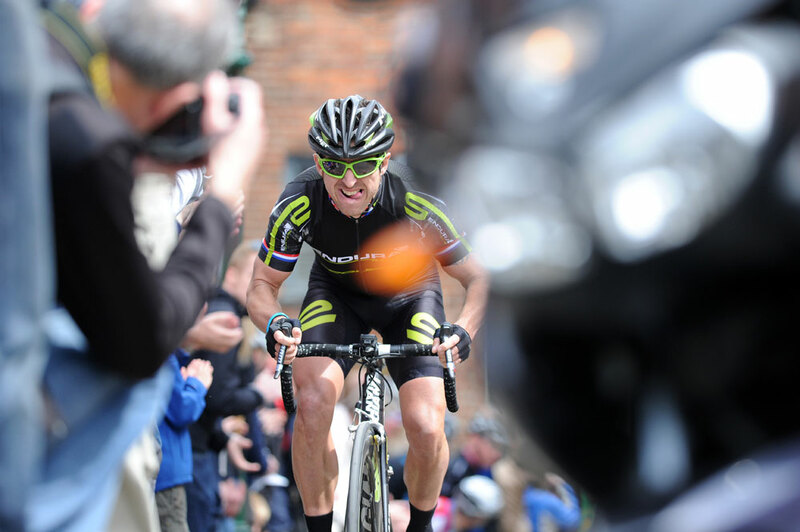 As well as the Lincoln, House won the Durham round of the 2012 Tour Series, which also features a cobbled climb.